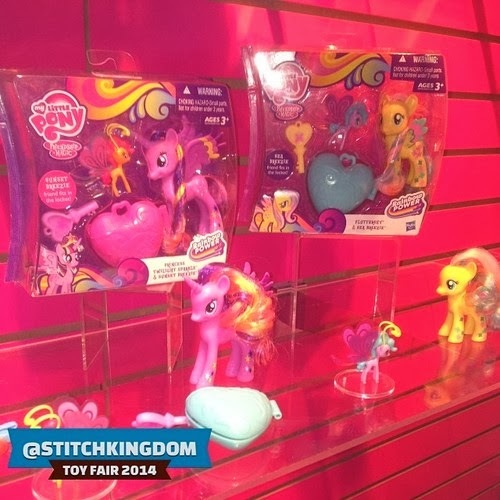 A few days ago the Toy Fair 2014 was held in New York, NY, United States. From 16 'till 19 February to be exact. 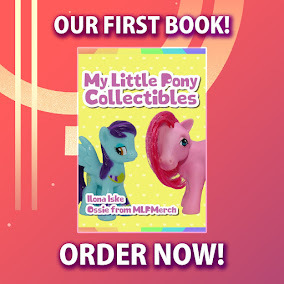 We got a lot of new interesting MLP Merch that's coming up, so lets start talking about it! 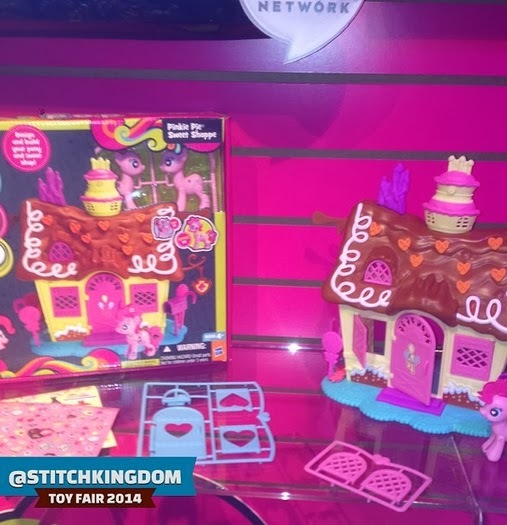 Above is the "Friendship Rainbow Kingdom" Playset it features Twilight Sparkle in her own palace where she will possibly "rule" the Rainbow Kingdom. At least that's what I've been reading. You can also see that a palace has appeared out of the three of harmony in the background. Possible spoilers? The castle itself looks colorful and probably has a nice play value. It's unclear for now if you can attach this playset to the Wedding castle and the Crystal Princess Palace. For know it looks like a fun playset to play with. I personally rather skip this, because it will take in just too much space. Next we have the Princess Snowglobe Ponies. These will be translucent Ponies based of the main Princesses from MLP FIM. It's unsure if we will also be seeing Twilight Sparkle as one. 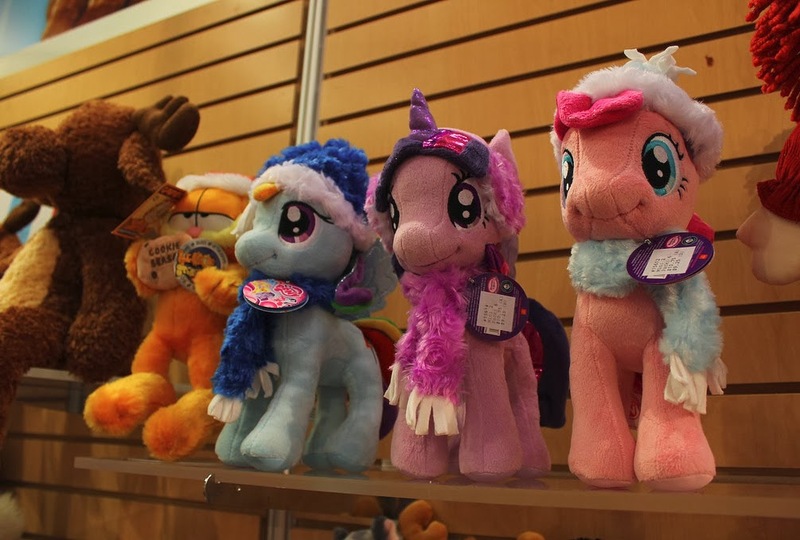 The concept of these ponies is that there's liquid inside of them and confetti shaped like their cutie marks. However, the ones showed at the Toy Fair were only prototypes, so the real effect is still unknown. In my opinion these are some pretty cool looking ponies! 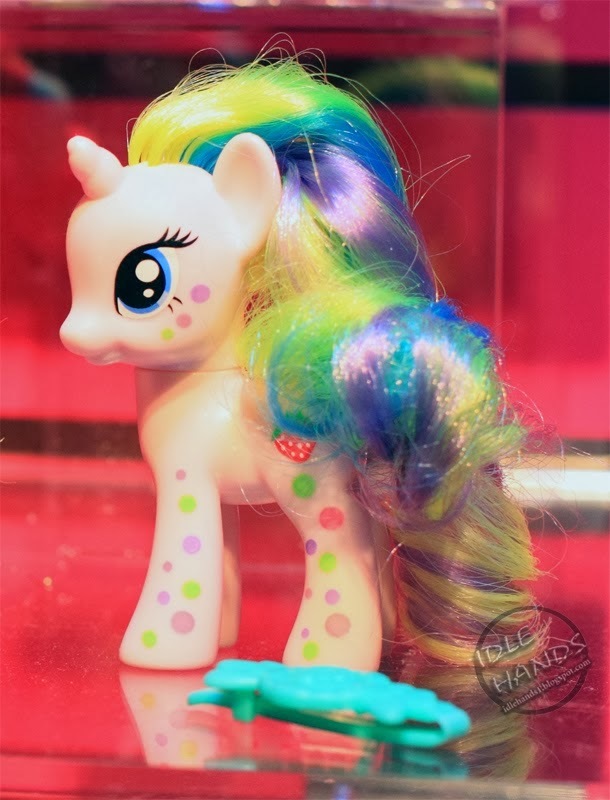 Next up we have a colorful wave of new Brushable Ponies. 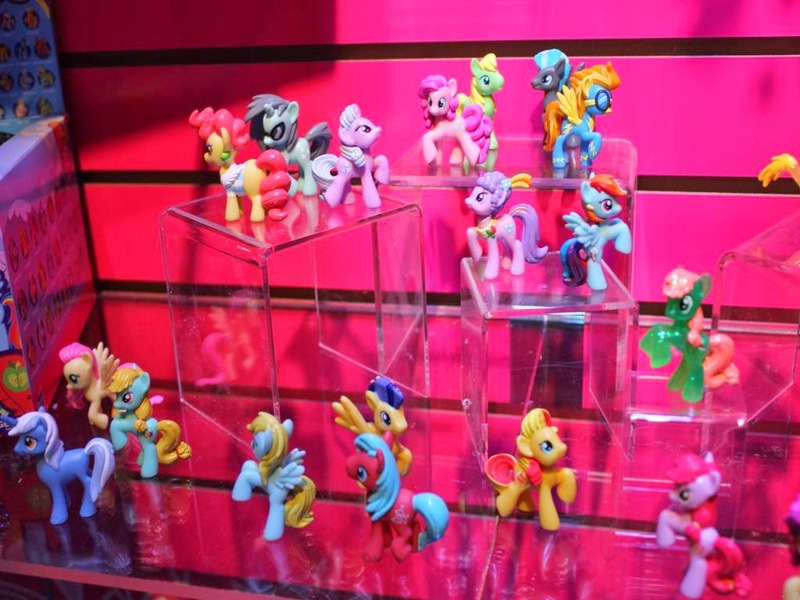 Most of the ones above look like the current ones that are in the shops right now (except Fluttershy) but the ones under it are slightly different with new hair colors and new marks on their body. 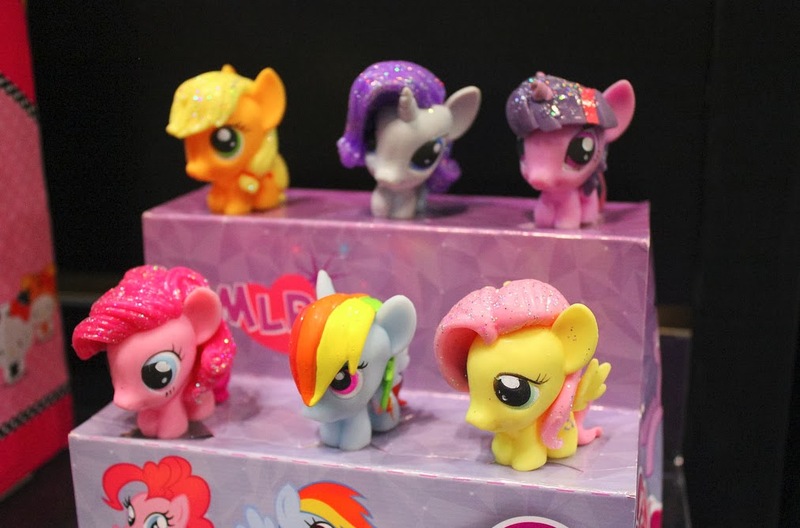 Something more interesting is the new pony character that appeared also, from the looks of it this pony will be Holly Dash, she was also featured as a Blind Bag in wave 7. 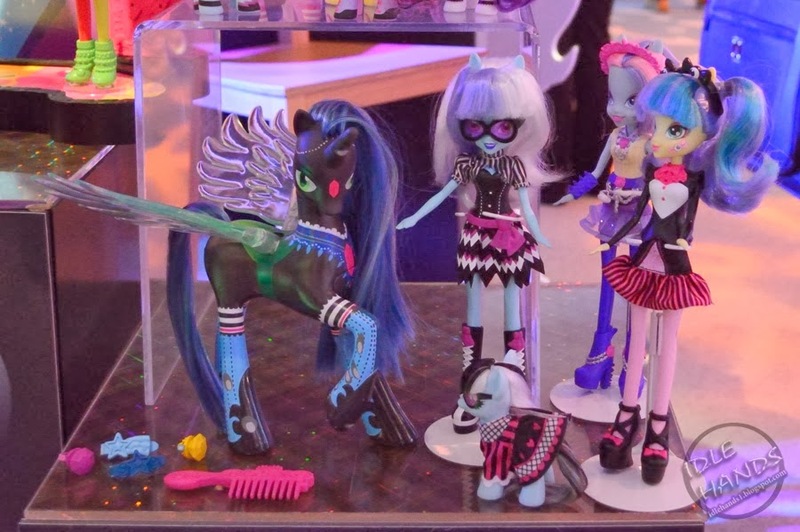 These 2 new Fashion Style Ponies also appeared. 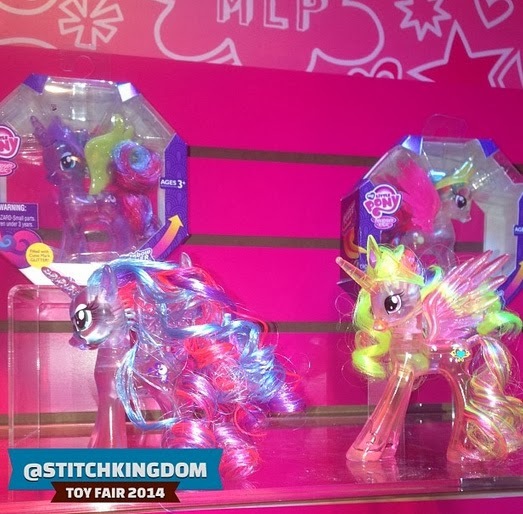 It seems like the molds are still the same from previous releases, but both are featured with brand new accessories and Pinkie Pie got new hair colors. It also looks like the fabric clothing made place for plastic clothing. I personally like the fabric ones more, but I have to see them in real life first. 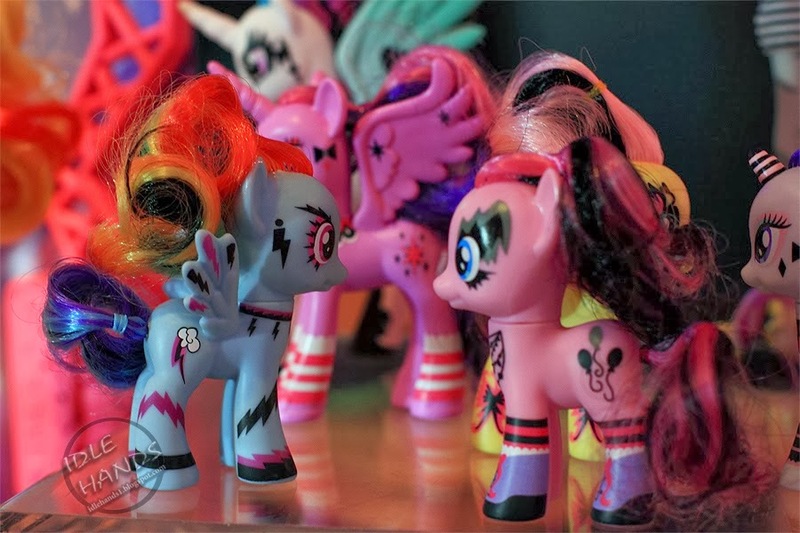 Then we have these funky and KISS Style looking Ponies. It seems like all of the mane six got into the metal/rock genre, but even Princess Celestia seems to join the Party. It's unclear what these will be like and how they will get released, but my guess is that they will be the new "Fan Favorite Set". Hasbro also revealed this Chutes and Ladders board game that comes with exclusive Blind Bags, more information is currently unknown. 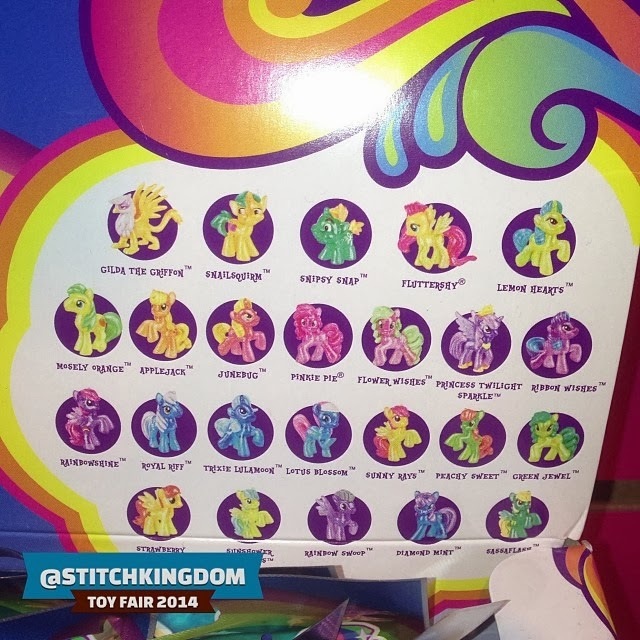 We also got a bunch of new Blind Bag characters coming up like Sunset Shimmer, Flash Sentry and many more! It's unknown how these will be distributed. Next we have these Ponies that come with a Breezie. Breezies are a hybrid race of ponies and butterfly's, they already made an appearance in generation 3, but it seems Hasbro has rebooted the concept. 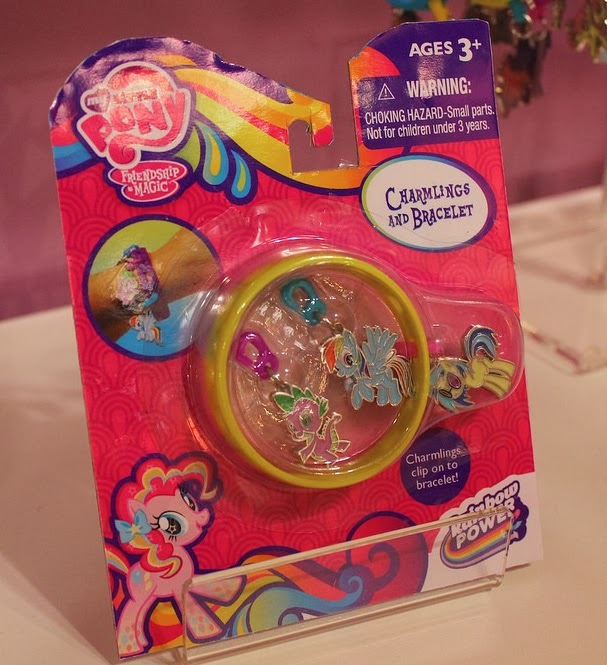 Each pony comes with one Breezie which you can store in a heart-shaped locket, which can be opened with a key. One playset has already been revealed and that's the Sugarcube Corner Playset and in my opinion it looks really well made and I think it's also perfect to play with or display your Brushable Ponies. Next up we see a Large Talking Queen Chrysalis, she's like the Talking Celestia and Nightmare Moon. Unfortunately she doesn't look much like the Queen Chrysalis we know from the series. The wing design is the same as NMM and her Horn is still the same and not the wicked and twisted one we all love. It also appears she has some strange clothing stamped on her. No further information is known so far. 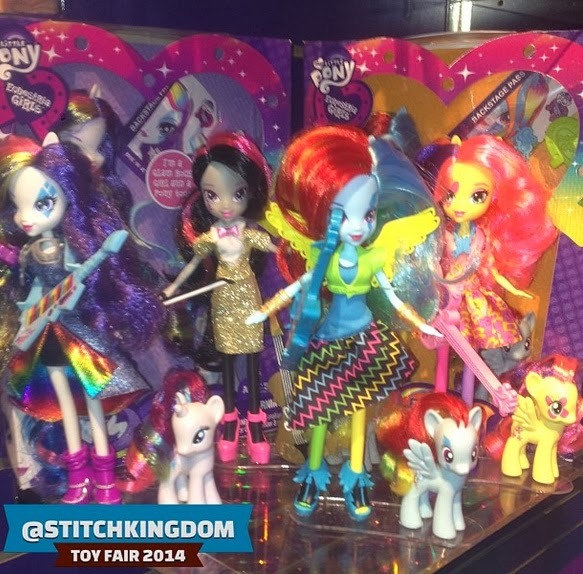 Next to Chrysalis we find a Photo Finish Equestria Girls doll which comes with a Brushable version of Photo Finish. The doll and pony both look really cute in my opinion. Too bad for European buyers: she will be only available as a Toys'R'us exclusive. Next to her are two other dolls, but the characters are still unknown. Some people argue that the one in the back is based of a G2 pony called Ivy. Here we have a Talking Adagio Dazzle. When you touch her hand, she talks and sings like the Pinkie Pie and Twilight one. Its unknown what her role will be in the upcoming Rainbow Rocks movie, but most agree that she will be one of the main antagonists. The dolls on the side will possibly be members of her band, but that's still based on rumors. 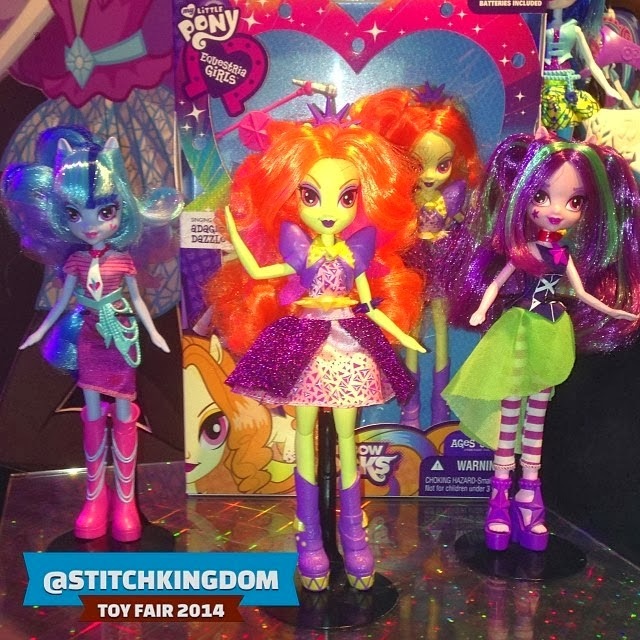 Finally, show accurate Equestria Girl dolls! 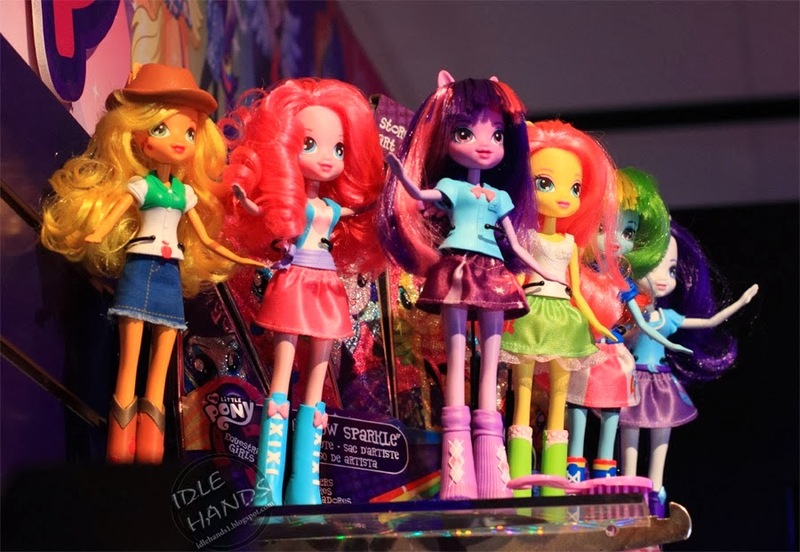 These are new Equestria Girls dolls of the mane six and now they all have show/movie accurate clothing like they had in the movie. The clothing seems to be made of plastic. 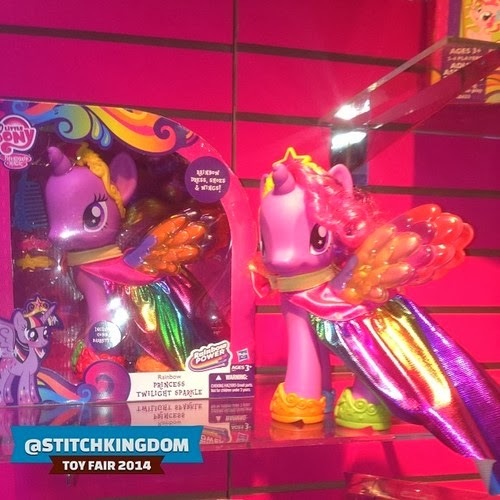 Fluttershy and Rainbow Dash will also feature molded wings on their backs in their skin color. 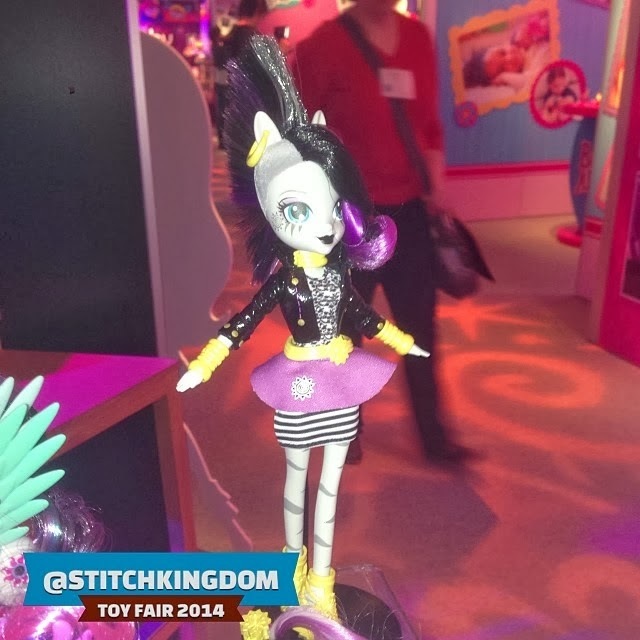 Equestria Girls Zecora doll with mohawk. Suit Up, Fool! And last but not least for the dolls, we have Zecora. And she looks funky as what. That mohawk really suits her in my opinion. Can't wait to get her! 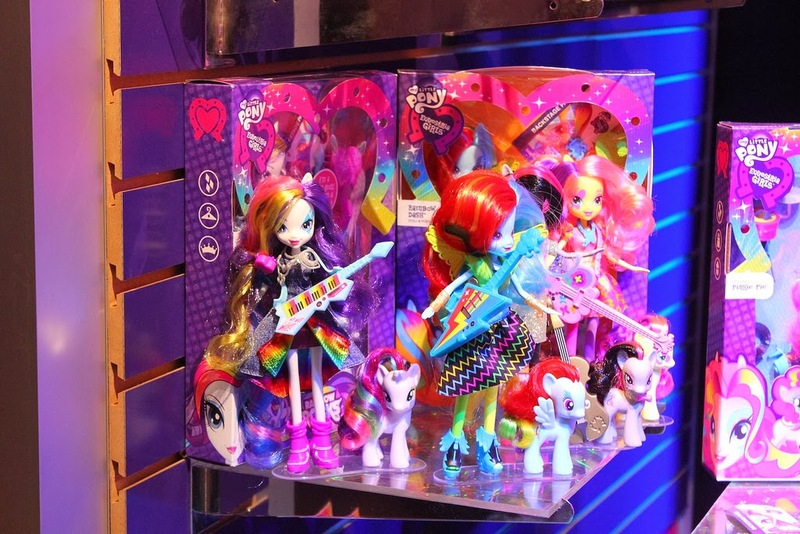 Back to just the Ponies and not the dolls, it seems like we will get a new wave of MLP Fashems. 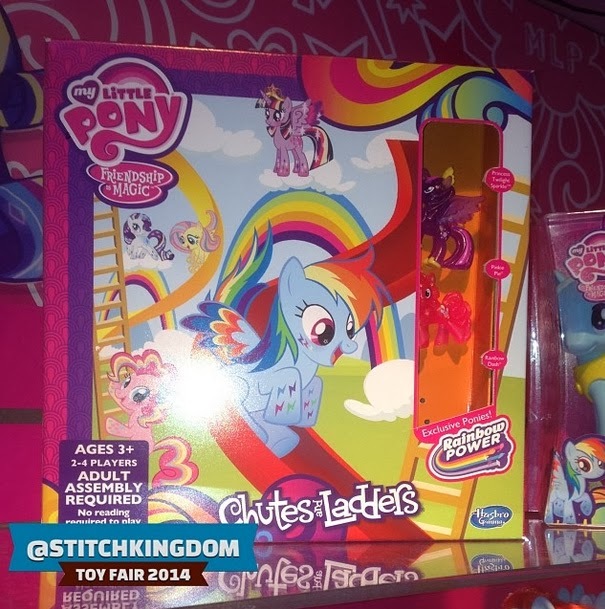 This time they also included Rainbow Dash. It seems these won't be Rainbowfied but instead they have glitters on them now. Apart from the glitters there seems to be no difference in the figures. 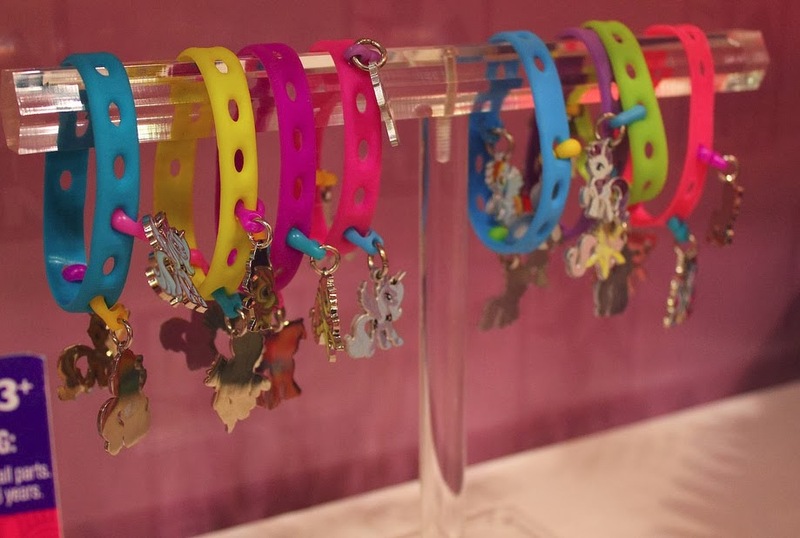 We will also get these cute bracelets who comes with different Pony Charms which you can clip on your bracelet. And that's our coverage for now! I cant wait to see all these new toys in person and I'm curious what Hasbro will bring out next year, but that's miles away from now. When will the show accurate dolls come out? 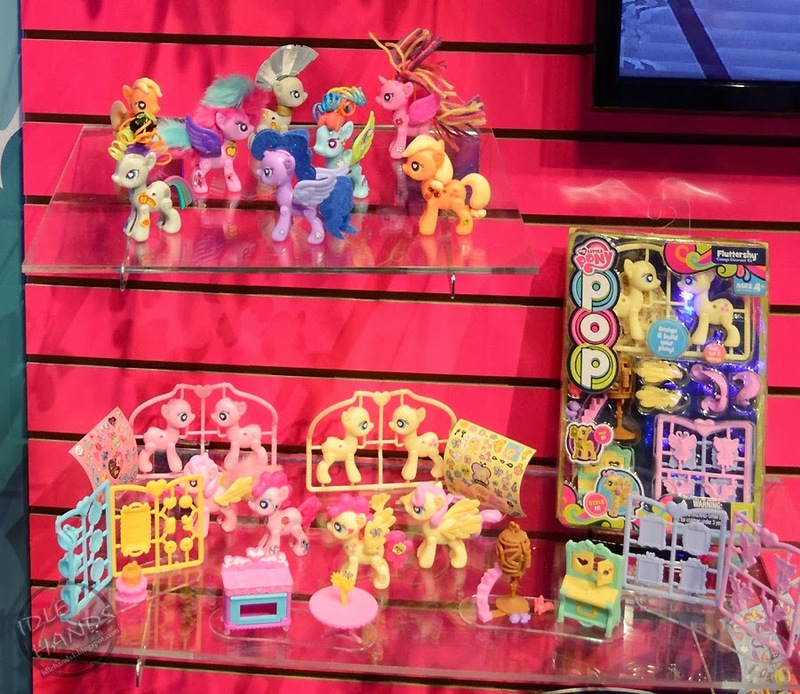 AGHHHHHHHHHHHHHH new ponys im getting all of it! anybody know when the wave 11 blind bags will come out i think they will be the best yet!!! 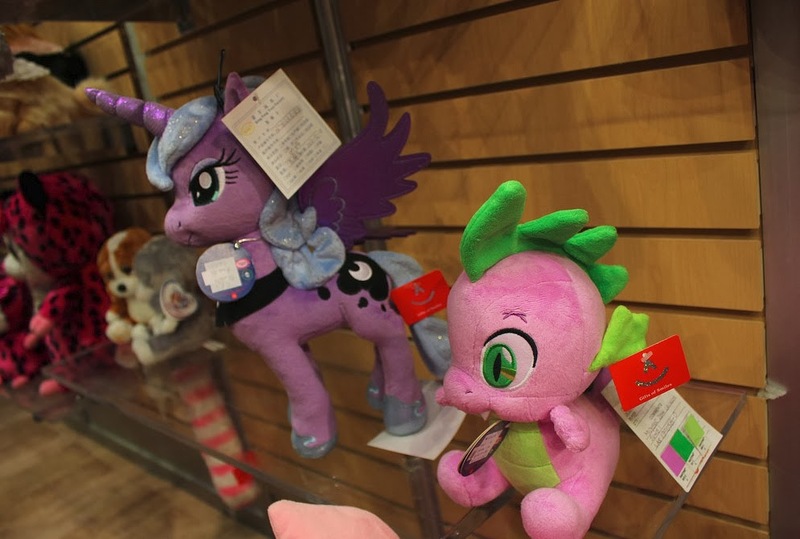 So far no sigh of Cadance though, she might come in the second wave of snowglobe ponies! I WANT THEM SO BADLY!!!!!!!!!!!!!!!!!!!!!!!!!!!!!!!!!!!!!!!!!!!!!!!!!!!!!!!!!!!!! !